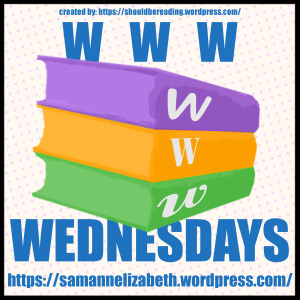 WWW Wednesday is hosted by Taking on a World of Words. What did you recently finish? chance. I’ve also started but not gotten very far in the third Generation V book, I’m hoping to get some time for it tomorrow or maybe Thursday? *fingers crossed* My phone book is Slave to Sensation since it’s a easy read between calls at work or on my break. It keeps me from thinking hard but helps me to relax. My audio book is still Dracula… I’ll finish it eventually. 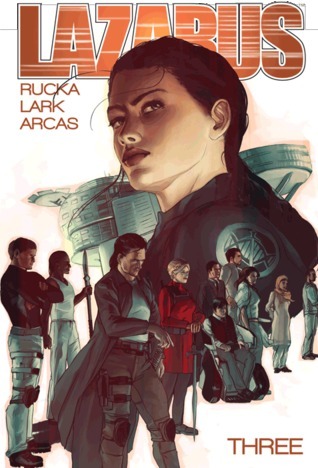 I literally just finished the second volume of Lazarus, which was great. I’m hoping to read more comics and this series is an awesome one in my opinion. I also finished The Bone Gap today which was a short and beautiful YA. I didn’t see the twists and turns in this (part of the reason I love magical realism in my books) so I was sucked into this easily. Before that the last thing I finished was the Clan Book: Malkavian in the Vampire the Masquerade series, which was also good but book 9 in a series about a table top game. I don’t think many people will be interested in that one. It’s NaNoWriMo guys. What I’m going to read next is a huge question. I’ll need to read whatever my book club votes on Friday but the rest of the month is probably going to be really good easy reads. I need to focus on my NaNo, so I may also focus on not urban fantasy books since that’s what I’m writing. I do want to read more Stephen King this month, he has a short story collection coming out I’ll be picking up soon. Oh! And I’m definitely buying the third volume of Lazarus and I’ve pre-ordered volume 4 already. Previous Nine Circles of Hell Book Tag! Next YALL FEST IS HAPPENING!